Enjoy an all-levels yoga series on the last Wednesday of every month featuring a new instructor at each session. 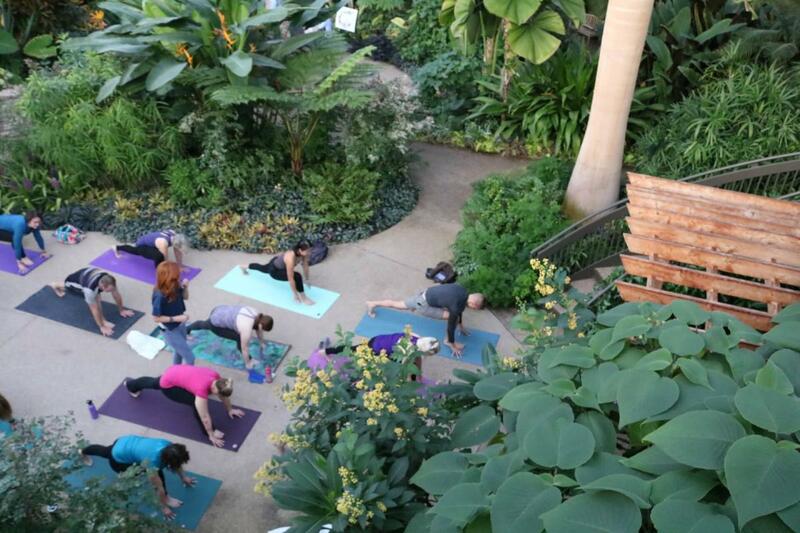 Relax as you explore the Garden before participating in a yoga practice. Walk-in spots may not always be available for each class; guarantee your spot by registering in advance. 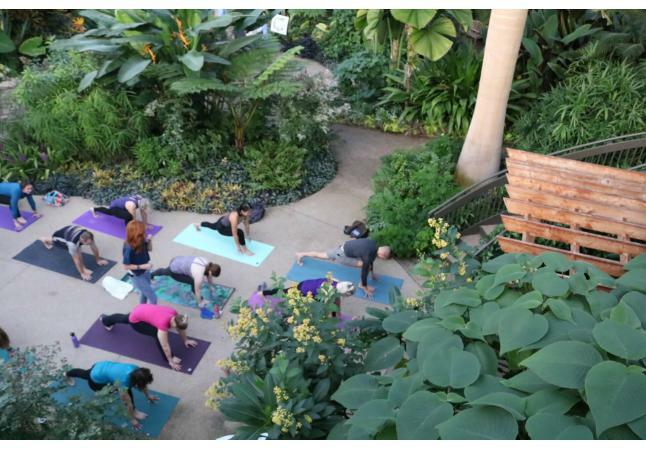 Yoga at the Garden will take place in the conservatory, unless class size exceeds the space. Larger classes will take place in the DuPont room overlooking the outdoor gardens. This class is in partnership with dmYOGA.